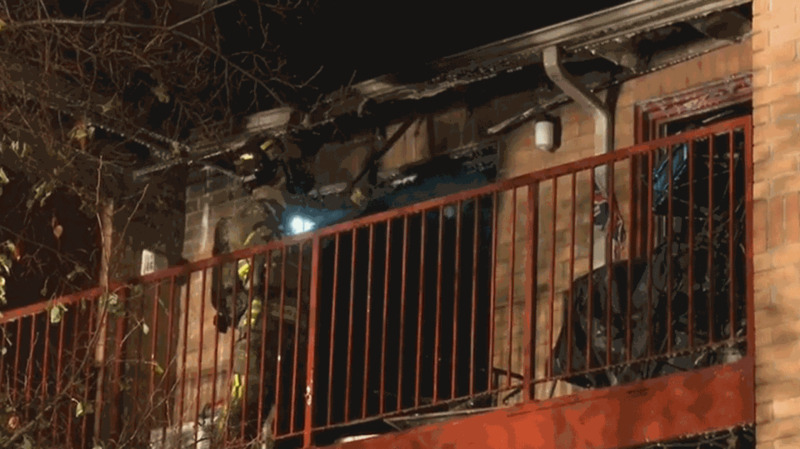 Up to 10 residents have been displaced after a fire tore through a townhouse unit in Oakville overnight, police say. The blaze began in a unit on the third floor of the building on Pilgrims Way near Abbeywood Drive at around 12:30 a.m.
At one point, an Oakville Transit bus was brought in to provide shelter residents who were displaced due to heavy smoke on the third floor. Police say that while the residents inside the unit were able to escape without any injuries, several cats did perish in the fire. Police also say that several residents from adjoining units were treated for minor smoke inhalation at the scene. The cause of the fire remains unclear at this point. A firefighter is shown looking for hot spots after a blaze at an Oakville townhouse complex early Saturday morning.